Hope everyone's enjoying their week so far. 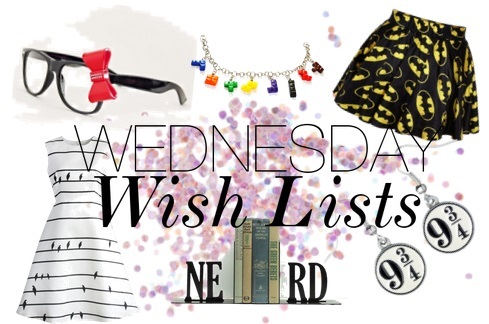 I'm working on keeping my word about maintaining a regular blogging schedule, and I thought I'd make up a new Wednesday Wish List given how long its been since the last one. Been doing my best to pinch pennies lately, so finding anything that I want really badly is almost dangerous for my wallet 😝 But my willpower remains strong, and I've come up with a list of a few things that I wish I currently had in my life. 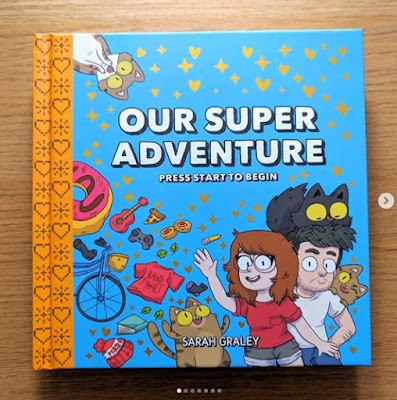 #1: Our Super Adventure & Other Graphic Novels by Sarah Graley! I can't remember when exactly I first came across one of Sarah Graley's comics about her life at home with her boyfriend and her clowder of cats, but from the get-go I related to the comics because the characters reminded me so much of my boyfriend and myself, and I'm sure that's the reason her comics are so popular on the internet. 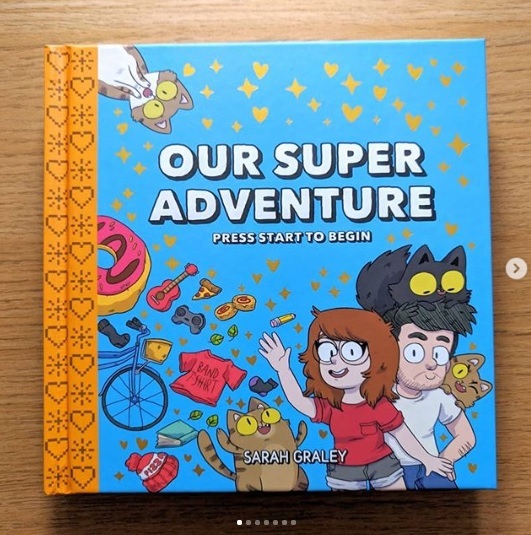 She's published a few different collections of this series that she calls Our Super Adventure and I would love to own at least one of these collections as a physical book. Last year I planned on checking out Toronto Comic Arts Festival for the first time, but at the last minute decided not to go - which was a huge mistake, because Sarah Graley was there last year and I could've both met her and gotten my own copy of each of her graphic novels AND gotten them all signed!!!! 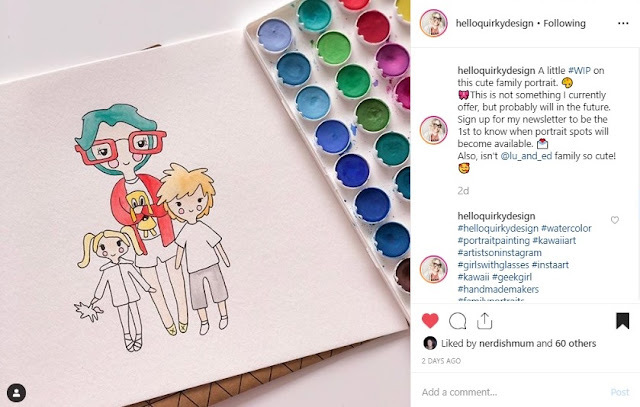 😭 She hails from the UK, so her being in Toronto was an unexpected and rare occurrence, and unfortunately she and Stef (who is now her fiance - congrats you guys!) are too busy to come to Canada for TCAF this year, since it's very close to the pub date of her newest graphic novel. Hopefully I'll get to meet her & maybe even Stef & get autographs & pictures next year. But I'm still gonna try and make it to TCAF this year tho! I've never been and I'm excited to check it out! #2: Young Sheldon Season 1 on DVD or Blu-Ray! My mother and I have been fans of The Big Bang Theory for years now - not since the very beginning, mind you, but it's still been quite some time since we fell in love with the show and its characters. We were both excited as well as nervous when we learned that there would be a spin-off show featuring a younger Sheldon Cooper during his early years of high school at 8 years-old, but we both quickly fell in love with Young Sheldon when it started airing in 2017. 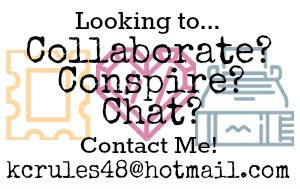 Given that I took an unscheduled hiatus to move into a new apartment, I figured it would be a good idea to catch you all up on what I've been up to since you last heard from me (not counting my recent post reflecting on the 6 year anniversary of the VlogIggles, which you should go check out btw!). Let's get started with my favourite category - GAMES! I'm not gonna lie, the game (and overall thing) that has taken up a large percentage of my life over the past while has been playing World of Warcraft. 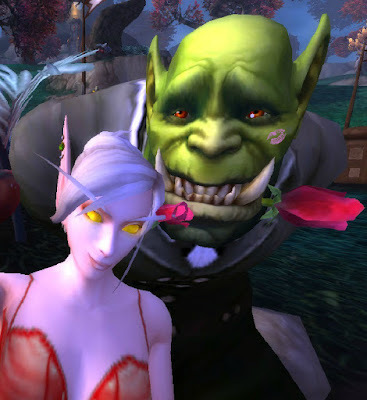 And no, I'm pretty sure I'm not addicted XD But since the new expansion came out last August, I've been logging into WoW as often as possible, and it's been especially fun because my boyfriend recently re-joined WoW, and he became a member of the same guild as me! Mostly when the two of us play together it's during a guild activity like raid nights or other things like dungeon runs. But Kurt has been really awesome in helping me improve as a player, because I want to become a better raider and make my guild proud! I'll tell you guys a secret - just don't tell anyone in my guild XD - but for years I played WoW as what you would call a "clicker" - aka using the mouse more often than the keyboard for attacks and spells. I've been working really hard to overcome this habit and re-train myself to play with the keyboard. Kurt has been patient with me as he's helped me create key binds and macros to make raiding a whole lot easier. Group shots of the raiders in my guild, Safe Word, on the Kilrogg US server. The left picture was taken on the boat that took us to the fight with Jaina (each of us seated on the rarest mount we own), and the second picture was taken after we finally defeated Jaina on Heroic difficulty. Originally I was part of a guild called Storm, but a big chunk of the members of that guild decided to start a whole new guild, which is called Safe Word (I didn't get a vote in the name, I swear 😝). Since Battle for Azeroth has released, we've been enjoying playing together through Mythic+ dungeons as well as progressing through Normal & Heroic raiding. We've been dipping our toes into Mythic raiding a little bit but our guild doesn't currently have enough members playing at a Mythic level in order to progress past the 2nd boss in Battle for Dazar'alor. That being said, raiding with these guys has been a lot of fun! I used to main a Blood Elf Rogue but was asked to change my spec for BfD, so now I play as a Nightborne Warlock.